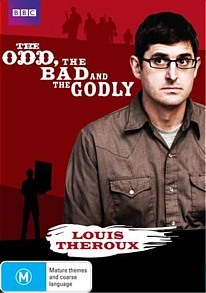 Louis Theroux the Odd, the Bad and the Godly DVD Review This collection is definitely some of Theroux’s best work and comes highly recommended! 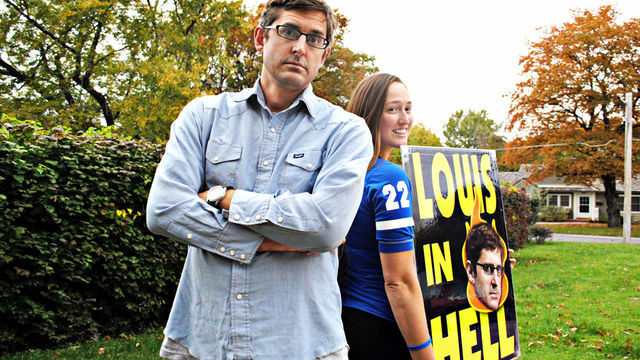 Louis Theroux, our favourite BAFTA award winning journalist once again returns to the small screen in this excellent six part documentary showcasing some of the strangest ideologies and most bizarre people and institutions from around the globe. Even though Theroux has been accused by some to twist his interviews into making the subjects seem more nefarious or down right stupid, this is definitely not the case. Rather, Theroux is only just a catalyst and his thoughtful and sometimes provocative questions often lead the interviewees to highlight their extreme views which generally verge on the unbelievable and or the ridiculous. With that said, the success of Theroux is definitely his fish out of the water style of journalism that in the Odd, the Bad and the Godly lead to some amazing situations, theories and topics that will leave you craving for more. Religion plays a key theme to two of the episodes in this collection. These include the Ultra Zionists which revolve around a group of Jewish Settlers in Israel who could be considered as extreme Judaists. Whereas the other episode is a return to America's most hated family who are part of the Westboro Baptist Church and rather than preaching love and forgiveness, they are quite hateful towards anyone who is not part of their extreme right-wing religion. The ultra Zionists in Israel believe that as they are the chosen people of God, they have a right to push out the Palestinian settlers by either creating makeshift homes on their lands or purchasing their homes in some most disturbing ways. It’s hard to believe that in the 21st century, people are still using religion as a means to crush their opposition and to overt their faux “superiority” onto another race. It’s also quite amusing when Theroux is questioned by one of the Jewish pioneers about his Atheist views with Louis stating that he feels quite comfortable knowing that there is no afterlife, while the antagonist believes him to be stupid. The other episode about religion has Theroux revisiting America's most hated family where he discovers that their numbers have dropped considerably but their hate filled slogans have become even more sickening and offensive. I remember watching the original episode in 2007 and theorised that the younger female members of this cult would eventually leave and 4 years later, two of these young women have left and are living a normal life. Unfortunately they are heart broken that their families have refused all contact with them. Even though the Westboro Baptist Church may be heading to extinction, they are still brain washing their children with their hateful slogans that targets everything from sexual orientation to politics and anyone but them. Crazy best sums up this episode. One of the more insightful documentaries in this collection is America's Medicated Kids that highlights America's obsession in the answer to all their medical woes, pharmaceutical medication. In this documentary, Theroux meets a variety of children who are suffering from psychiatric issues such as Autism and ADHD which has lead to them being heavily medicated for their conditions. According to the parents and the specialists that he meets, this seems to be the only viable option for these children; however other factors such as diet or positive parenting skills remain vaguely absent. Law and Disorder in Lagos has Theroux travelling to Nigeria as he visits one of the world's fastest growing cities that is rife with corruption and a self imposed militia called the Area Boys who extort money from the local businesses. Unfortunately many of these local businesses also have the government to deal as they have built their structures illegally and this is where the KAI (Kick Against Indiscipline) come into the picture who sometimes violently evicts them with bulldozers in tow. With rock star type “union” warlords who have thousands of supporters, more so from fear, Lagos is definitely a dangerous city and Theroux highlights this quite well. The Law & Disorder tag could also be used for the last two episodes of this collection in Miami's Mega Jail that highlights the lengthy wait that prisoners must endure before their trial and the unofficial law that binds the inmates together in a place that houses 6,000 prisoners. To compound the situation, these jails are old and overcrowded, where many of the people will be institutionalised for life. The only glimmer of hope is a Boot Camp for younger offenders who are given the chance to engage in a 6-month military style program or face a jail sentence should they fail. It is quite disconcerting that American society has let these individuals down and as these jails continue to be crammed to its capacity, the politicians must address the societal issues in order to stop the criminal epidemic that is spreading through the streets of Miami and other parts of the United States. All in all, Louis Theroux the Odd, the Bad and the Godly is a very insightful yet disturbing documentary about some of the world's darkest corners and secrets that truly makes you appreciate the country that we live in. Although Australia is plagued by its own problems, it pales in comparison to what Louis Theroux has carefully crafted together. This collection is definitely some of Theroux’s best work and comes highly recommended!